Picture book biographies are one of the best ways to introduce a person from history. Why? They bring interesting people to life in a short, succinct, satisfying manner. Illustrations can add tremendously to the information, enabling readers to get a “feel” for the subject. Additionally, the subjects chosen for picture book biographies are so broad! Presidents and other famous historical figures such as Helen Keller or the Wright Brothers are obvious choices. 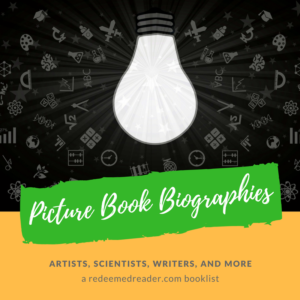 But picture book biographies also tackle Noah Webster, the inventors of neon paint, the woman who first mapped the ocean, and the man behind the Macy’s Day Parade puppets! No matter what person, topic, or time period, there is sure to be a relevant picture book biography out there. Picture Book Biographies are Not Just For Kids! Even teens and grown ups can learn from picture book biographies. For instance, read one of the Shakespeare biographies listed below before tackling Hamlet. Marvel at the man who photographed snowflakes before a series on weather, the seasons, or microscopy. 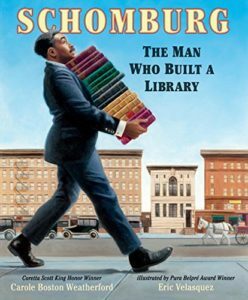 Supplement a history class with a look at a minority figure or a Christian hero that the history textbook might have glossed over; Schomburg: The Man Who Built a Library and Simonetta Carr’s biographies are good examples that are certainly robust enough for middle and high school students. Or take a look at River of Words before diving into William Carlos Williams’s poetry. The possibilities are endless. The sub-headings below reflect those listed in our 2018 Reading Challenge–picture books count! As usual, titles are linked to Redeemed Reader reviews. Diane Stanley’s biographies are excellent for older kids (ages 8 and up): Cleopatra, Joan of Arc, Peter the Great, Good Queen Bess…. To Dare Mighty Things: the Life of Theodore Roosevelt by Doreen Rappaport and illustrated by C. F. Payne. The larger-than-life president comes alive in this vigorous biography. Ages 6-10. 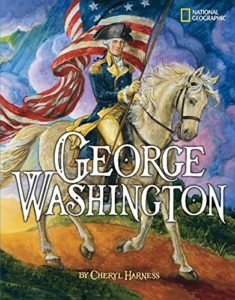 George Washington by Cheryl Harness. A bit longer than some, but very nicely done. Ages 8 and up. See also her many other picture book biographies–some are quite lengthy with timelines across the bottom while others are more traditional “picture book” style. Columbus by the D’Aulaires. See also Abraham Lincoln and others. The D’Aulaires wrote large format, lushly illustrated, substantial biographies for children; notably, they often include details about the childhood of these famous people, so children tremendously enjoy them. Highly recommended. Ages 6 and up. Splash of Red: The Life and Art of Horace Pippin by Jen Bryant and Melissa Sweet. Sweet’s illustrations incorporate much of this African American folk artist’s work. Ages 6-12. William Shakespeare and His Globe by Aliki. A great introduction to Shakespeare and his theater for all ages. Will’s Words by Jane Sutcliffe and illustrated by John Shelley. The Bard’s contribution to our language coupled with marvelous illustrations. Ages 6-12. Balloons Over Broadway: The True Story of the Macy’s Day Puppeteer by Melissa Sweet. Sweet includes photographs and uses a collage style in the illustrations to great effect. All ages. Dave the Potter: Artist, Poet, Slave by Laban Carrick Hill and illustrated by Brian Collier. Simple, but powerful story that is beautifully illustrated. Ages 6 and up. Monsieur Marceau: Actor Without Words by Leda Shubert and illustrated by Gerard DuBois. Succinctly, elegantly and beautifully chronicles the life and accomplishments of the famous mime, Monsieur Marceau. Back matter includes more information on his life plus a mime practice activity for future mimes! The Music of Life: Bartolomeo Cristofori and the Invention of the Piano by Elizabeth Rusch and illustrated by Marjorie Priceman. Lively and colorful with plenty of back matter. Ages 6-12. Listen! How Pete Seeger Got America Singing by Leda Schubert. America’s folk singer brought to life. Older students might discuss Seeger’s politics and activism. Ages 6-12. Esquivel! Space-Age Sound Artist by Susan Wood and illustrated by Duncan Tonatiuth. Energetic biography about a Mexican musician who ended up in New York. Ages 6-10. Noah Webster and His Words by Jeri Chase Feris and illustrated by Vincent X. Kirsch. Webster was a character! Ages 6-10. 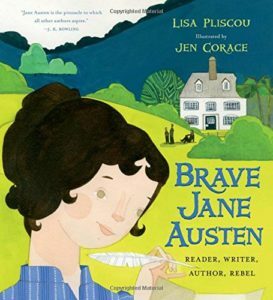 Brave Jane Austen: Reader, Writer, Author, Rebel by Lisa Pliscou. Delightful introduction to this famous author. Ages 6-10. One Fun Day with Lewis Carroll: A Celebration of Wordplay and a Girl Named Alice by Kathleen Krull. Exuberant treatment of this equally exuberant author. Ages 8 and up. Marvelous Mattie: How Margaret E. Knight Became an Inventor by Emily Arnold McCully. The lady who invented the flat-bottomed paper grocery bag! The Day-Glo Brothers: The True Story of Bob and Joe Switzer’s Bright Ideas and Brand New Colors by Chris Barton and illustrated by Tony Persiani. The invention of fluorescent colors! Ages 8-12. Starry Messenger by Peter Sis. Galileo’s story comes to life in this large picture book. Ages 6-12. John Deere, That’s Who! Tracy Nelson Maurer and illustrated by Tim Zeltner. The man behind the “John Deere” tractor logo. Ages 6-10. Six Dots: A Story of Young Louis Braille by Jen Bryant and illustrated by Boris Kulikov. An imaginative look at what Braille’s childhood was like. Ages 4-10. 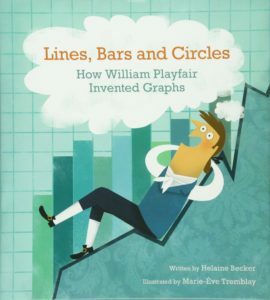 Lines, Bars and Circles: How William Playfair Invented Graphs by Helaine Becker and illustrated by Marie-Eve Tremblay. Fascinating reminder that someone, somewhere had to invent the infographics we take for granted. Ages 8 and up. Solving the Puzzle Under the Sea: Marie Tharp Maps the Ocean Floor by Robert Burleigh and illustrated by Raul Colon. The daughter of a map maker goes on to map the ocean floor. Ages 6-10. Snowflake Bentley by Jacqueline Briggs Martin and Mary Azarian. About the man who painstakingly photographed snowflakes. Ages 6-12. Papa’s Mechanical Fish by Candace Fleming. A fictionalized account of an eccentric inventor. Ages 6-10. Pilipinto’s Happiness: The Jungle Childhood of Valerie Elliot by Valerie Shepard. The daughter of Jim and Elisabeth Elliott retells her jungle memories. Heroes of the Faith Series by Sinclair Ferguson. Titles on Polycarp, Ignatius, and Iraneus. 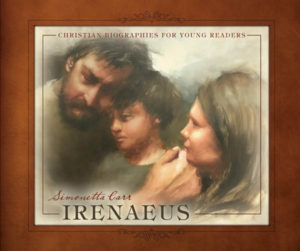 Christian Biographies for Young Readers Series by Simonetta Carr. 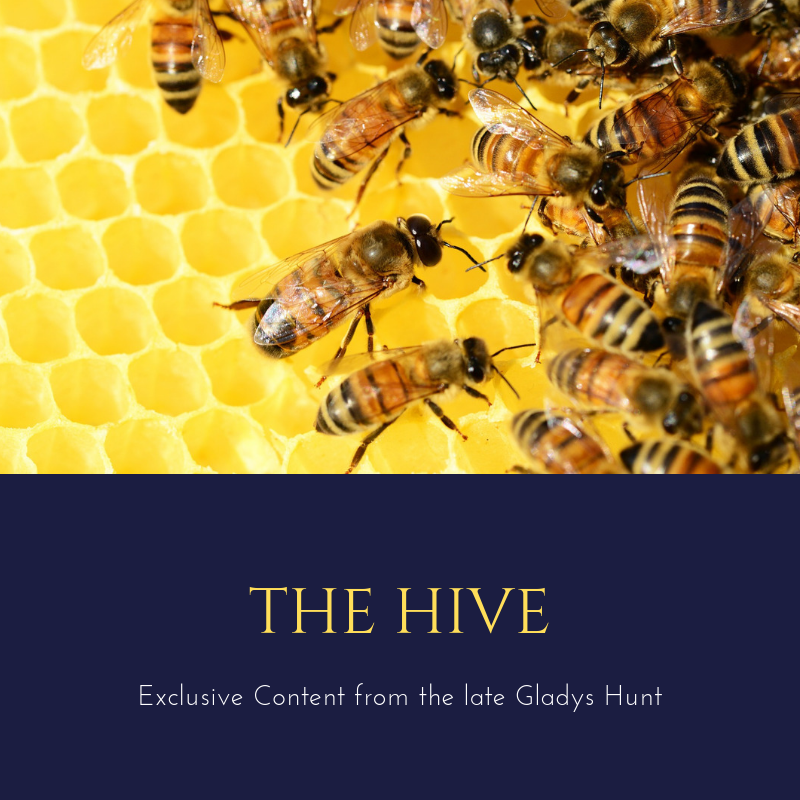 Meaty, information-packed biographies on many figures: Augustine, Anselm, Ireneus, Marie Durand, Athanasius, Jonathan Edwards, Lady Jane Grey, Martin Luther, John Knox, John Calvin, John Owen, … and more! Memories of Survival by Esther Ninenthal Krinitz and Bernice Steinhardt. A Holocaust survivor’s memoir told entirely in embroidery. The Great Satchel Paige v. Rookie Joe DiMaggio by Robert Skead and illustrated by Floyd Cooper. Was Joe DiMaggio up to the test of world famous pitcher, Satchel Paige? Ages 4 and up. Satchel Paige Don’t Look Back by David Adler. A focus just on this one baseball hero (as opposed to the famous meet-up in the book before this). Ages 6-10. Brothers at Bat: The True Story of an Amazing All-Brother Baseball Team by Audrey Vernick and illustrated by Steven Salerno. Fantastic book about baseball and family. Ages 4 and up. This list is by no means exhaustive! What are YOUR favorite picture book biographies? Wow, what a wonderful list! There are also at least two series that document stories of refugees coming from different countries: Juliane’s Story and A Refugee’s Journey From Yemen are examples. Wow! Thanks for adding such wealth to our list! I’m especially intrigued by When Harriet Met Sojourner–I’ll have to track that one down. I’ve read Stormy Seas–but it appears I never reviewed it. Thanks for the reminder. We also enjoyed Small Wonders: Jean-Henri Fabre and His World of Insects. Electrical Wizard is great! I also enjoyed Small Wonders….